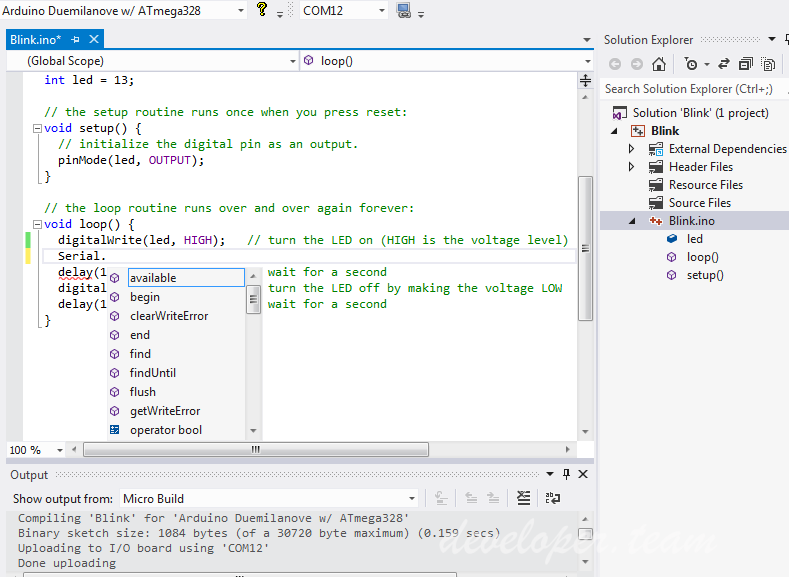 New Arduino users are guided to work within the normal Arduino framework, in a similar manner to the Arduino IDE. Advanced Arduino users have a range of options that allow the simple (but restricting) Arduino rules to be broken. The following example demonstrates the IDE in it’s simplest form.